Here's a commission I did of Wonder Woman this past week at my New England Comics signing. 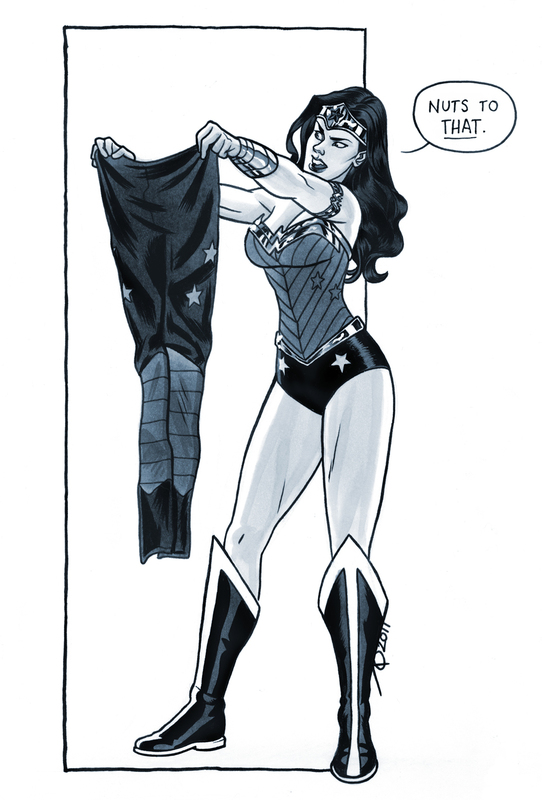 The nice young lady who commissioned it had asked for a piece where Diana was making some sort of comment on how glad she was to not be wearing pants - relative to the recent controversy of the character's redesign for DC's relaunched 'New 52' series of comics). 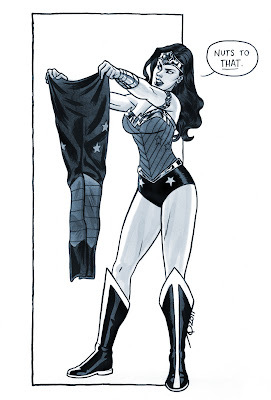 My honest and most sincere opinion: You should be the artist on New DC's Wonder Woman, but then you should have another writer that doesn't include gore as a crucial part of the narrative.